Ça fait ouf, quoi | One quality, the finest. In my job as the director of a summer program in Paris, I sometimes get to do really cool things. 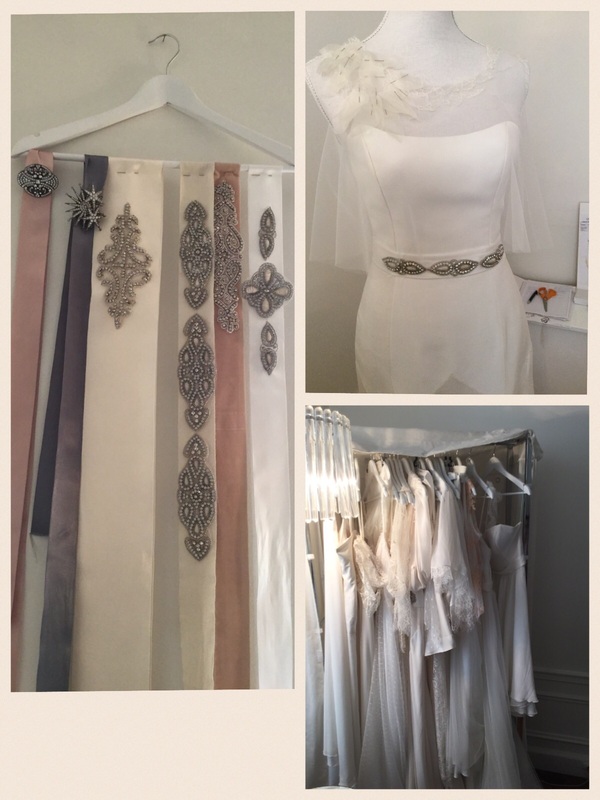 Last week, for example, I got to tag along with the Fashion class on their field trip to a bridal-wear designer. Natalia Dubuis specializes in semi-custom or custom bridal gowns fit for a modern princess. For the semi-custom gowns, Dubuis starts with a basic shape that the bride can then embellish and customize with lace overlays, different sleeve or strap options, or bejeweled belts. Custom gowns are a collaboration between the bride and the designer. Depending upon the level of customization, Dubuis’ gowns, which are made in France of French fabrics, cost between 950 and 2,500 Euros. Learn more about her services at By N Paris. Another thing I love about my summer job is learning new expressions from my French co-workers. A new one for me last week was “Ça fait ouf, quoi!” (sah feh oof kwah), which just means that something is really amazing. When they saw my photos of the trip to By N Paris, more than one female colleague exclaimed Ça fait ouf, quoi! And they were right. 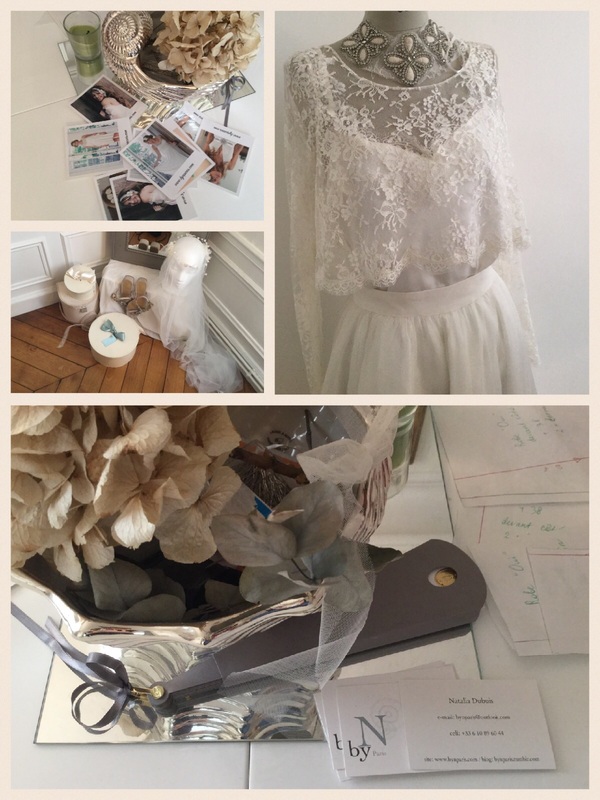 This entry was posted in Fashion and tagged Ça fait ouf quoi!, bridal-wear designer, By N Paris, Natalia Dubuis. Bookmark the permalink. Paris wedding dresses would be too. I agree. Kayser’s Tarte Monge is a “must-eat” whenever I am in Paris. Miami!